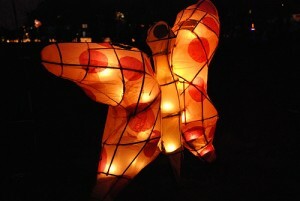 The Public Dreams Society will be presenting their Illuminares Lantern Festival and Procession on July 20th. This marks their 25th anniversary and to honour that they will be celebrating their theme “25 Light Years”. Illuminares has been described as an iconic part of the cultural landscape in Vancouver and has been named ‘Best East Vancouver Festival’ by the Vancouver Courier newspaper. The Lantern Festival has something for all ages and is not an event to be missed. Saturday, July 13th Noon – 3:30 p.m.
Sunday, July 14th Noon – 3:30 p.m.
Monday, July 15th 5:00 p.m. – 8:00 p.m.
Tuesday, July 16, 5:00 p.m. – 8:00 p.m.
Wednesday, July 17th 5:00 p.m. – 8:00 p.m.
Thursday, July 18th 5:00 p..m. – 8:00 p.m.
Friday, July 19th 5:00 p.m. – 8:00 p.m.
Illuminares Lantern Festival kicks off at Trout Lake in John Hendry Park with festivities beginning at 6:00 p.m. and the procession beginning at dusk. The event goes until about 10:30 p.m. This event draws over 20,000 each year and is sure to be a magical experience.